The National Transportation Safety Board just released its Most Wanted list for 2016. In hopes to end the boozing and the cruising once and for all, the agency wants states to drop their drunk driving blood alcohol content limit from .08 to .05 or lower. The NTSB, an independent federal agency whose main jobs are to determine the cause of transportation accidents and to promote safety on our roadways, has been after a lower blood alcohol content limit for years now. We wrote about their proposal to bring that limit down to .05 back in 2013, and it looks like they’re still not backing down. With a sub-heading “End Substance Impairment In Transportation,” the NTSB 2016 Most Wanted List Of Transportation Improvements discusses the prevalence of driver impairment in fatal accidents and proposes ways to reduce such tragedies. The board’s suggestions include heavier use of sobriety checkpoints, ignition interlocks to prevent drunkards from starting their cars, treatment and supervision of repeat DUI offenders, and lowering the DUI blood alcohol content limit from .08 down to .05. When it comes to alcohol use, we know that impairment begins before a person’s BAC reaches 0.08 percent, the current legal limit in the United States. In fact, by the time it reaches that level, the risk of a fatal crash has more than doubled. That is why states should lower BAC levels to 0.05— or even lower. Instead of targeting the heavily intoxicated drivers who cause most fatal drunk driving crashes, the NTSB wants to penalize responsible adults who enjoy one or two drinks with dinner. More than a decade ago, we lowered the legal limit from 0.1 percent to 0.08 after groups like Mothers Against Drunk Driving promised a huge drop in fatalities. Yet the proportion of traffic fatalities caused by drunk drivers has remained the same for the past 15 years. 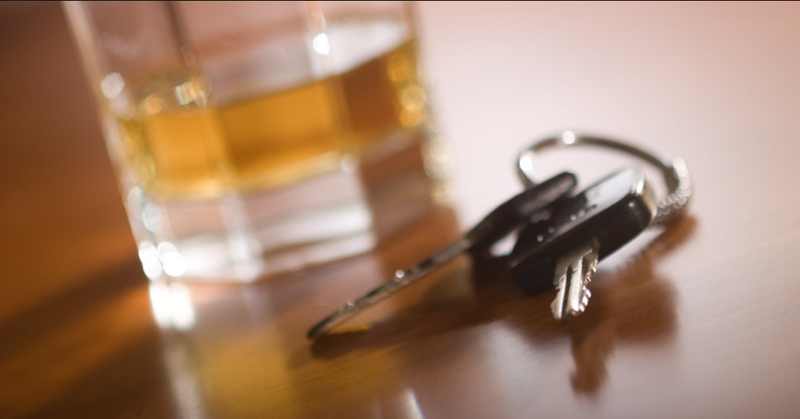 Why would moving to .05 suddenly stop truly drunk drivers from getting behind the wheel? The fact is, it won’t. So you’ve got a group whose job it is to protect the interest of alcohol-serving restaurants clashing with a group trying to eliminate traffic-related fatalities. One wants to sell alcohol, the other basically wants drivers to abstain from alcohol entirely. It’s a pretty typical conflict between teams with competing interests, but it is an important issue. It sets the limit on how much tasty beer we can drink before having to call an Uber or crash on our friend’s couch. We’ve already shown you the drunk driving limits around the world, and America’s is actually on the higher end, so maybe the NTSB has a point? But you have to wonder: if states decide to follow the NTSB’s advice and drop the limit, how many more Americans will end up with DUIs? How many Americans currently regularly drive with a blood alcohol content between .05 and .08 after a night on the town? I’ll be interested in seeing whether any states take the NTSB’s suggestions seriously, because they’ve been suggesting the lower blood alcohol content limit for a while now, and it’s fallen on deaf ears.